The political panic late last year over WikiLeaks announcement that it was beginning to publish some of the 250,000 U.S. diplomatic cables it claims to have was significant. Senate Foreign Relations Committee Chairman John Kerry (D-Mass.) called the release a "reckless action which jeopardizes lives by exposing raw, contemporaneous intelligence." However, only a small fraction of cables have been released, and many of the cables had names redacted, with the guidance of knowledgeable reporters at news outlets around the world. While some diplomats have been shuffled around, over a month since the first cables went public, no reports of any actual harm coming to anyone mentioned in the cables have come to light. Regardless, the U.S. State Department has issued a warning to human rights activists, foreign government officials and business people identified in the cables, reports the New York Times. A State Department team of 30 people in Washington have been working with embassies around the world to scour the cables and issue a warning to people mentioned in them that their safety may be in jeopardy, the Times reports. In many ways, this is a more public declaration of the fear that first gripped the U.S. government, but that concern hasn't come to full fruition yet. With only a few negative, cable-related incidents to point to, a State Department official told the Times it was simply taking all precautions. 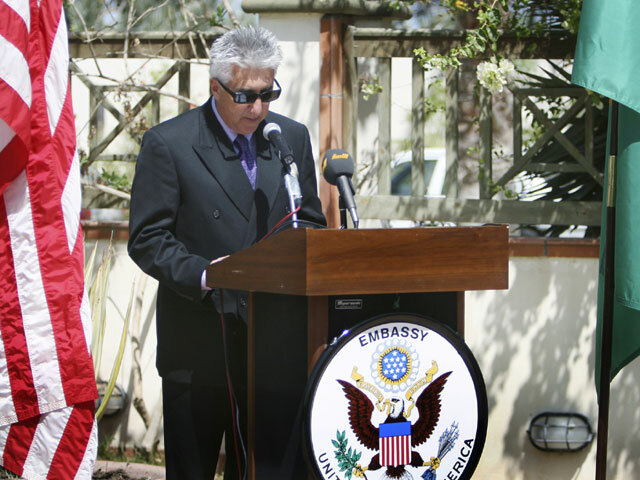 In Libya, the longtime U.S. ambassador there, Gene Cretz, was recalled to Washington last month after his name was attached to a cable revealing embarrassing personal details about Col. Muammar Qaddafi, the Libyan leader. Officials say he is unlikely to return. That incident is the biggest visible change within the government caused thus far by WikiLeaks. However, the Times reports there is plenty of anecdotal evidence to suggest the harm is wider spread. An American diplomat in Central Asia said recently that one Iranian contact, who met him on periodic trips outside Iran, told him he would no longer speak to him, the Times reports. Sarah Holewinski, executive director of the Campaign for Innocent Victims in Conflict, said people in Afghanistan and Pakistan had become more reluctant to speak to human rights investigators for fear that what they said might be made public, according to the report. While the Taliban announced last year it would scour earlier WikiLeaks documents related to the Afghan war and punish U.S. collaborators named in it, no reports of that happening have come forth yet. The move to warn people named in the cables comes as the Department of Justice continues to explore the possibility of filing charges - of what kind exactly, no one knows - against WikiLeaks founder Julian Assange. In its general WikiLeaks probe, the Justice Department has also apparently subpoenaed the Twitter account of an Icelandic Member of Parliament, named Birgitta Jonsdottir. She writes: "Department of Justice are requesting Twitter to provide (anything I've written related to WikiLeaks) - i got 10 days to stop it via legal process before Twitter hands it over."